Team Canada landed on the podium twice on Sunday night at Taipei Stadium when Brittany Crew struck gold in the shot put and Jessica O’Connell won the silver medal in the 5,000m event. Crew led from start to finish during the shot put event, registering a 17.74-metre throw on her first attempt. On her third attempt, Crew reached the 18.00-metre mark and with the gold medal locked up before her final throw, she bettered her score with a throw of 18.34 metres. Crew is now a two-time Universiade medalist after winning the bronze medal in 2015 in Gwangju. Jessica O’Connell was at the front of the pack for the majority of Sunday’s 5,000m final. Nearing the bell lap, O’Connell was in the pack of four front runners and a strong final 400m propelled her onto the podium. Gold went to Germany’s Hanna Klein but O’Connell held off a surging Jessica Judd from Great Britain to claim the silver medal. 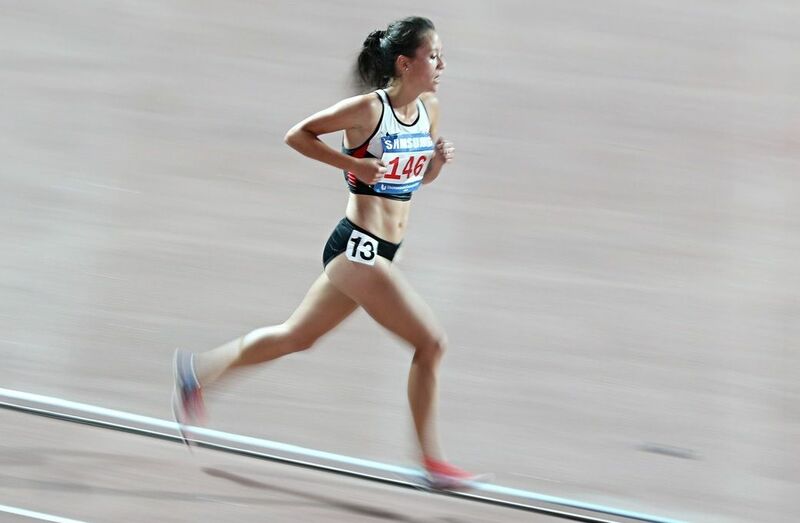 In other action at Taipei Stadium on Sunday, the women’s heptathlon came to a close with Dallyssa Huggins and Nicole Oudenaarden both winning their 800m heats to round out the competition. Huggins finished sixth overall while Oudenaarden finished 11th. Sekou Kaba finished seventh in the 110m hurdles final, while pole vaulter Deryk Theodore cleared 5.10 metres and finished 10th. In the 3,000m steeplechase, John Gay placed 11th. Also competing in the women’s shot put was Sarah Mitton, who threw a personal best 16.32 metres and finished 10th. In the 4 x 400m relays, the Canadian men’s and women’s teams both finished third in their heat and qualified for the final on August 28.